I can safely say I would never be tempted to buy this bag of chips on my own. First, if I’m craving junk food it’s usually sugar or chocolate. Second, I’ve learned to restrain myself for the most part. I’ve buying less and less processed food. Sure I have treats once in awhile, but I honestly can’t say the last time I bought Doritos. 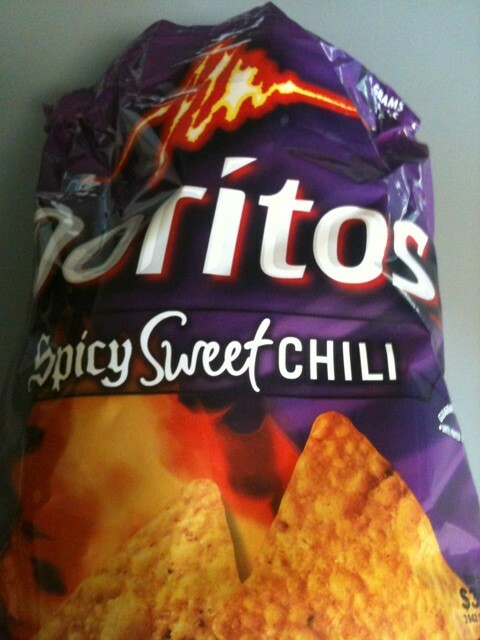 So imagine my surprise when I got home from work to find an OPENED bag of Doritos Spicy Sweet Chili chips. And damn are they good. Damn damn damn!! I’ve probably eaten two servings already. Damn you Doritos! Yeah…I know all the tips. I’ve used them many, many times. That doesn’t mean KNOWING is DOING. I got home from work Thursday night and met Michael and his friend Jeremy (who is visiting from Ireland) before headed out to dinner. We were headed to a movie so Michael decided we should eat at Dot’s Cafe on SE Clinton Street since it was across from the theatre. 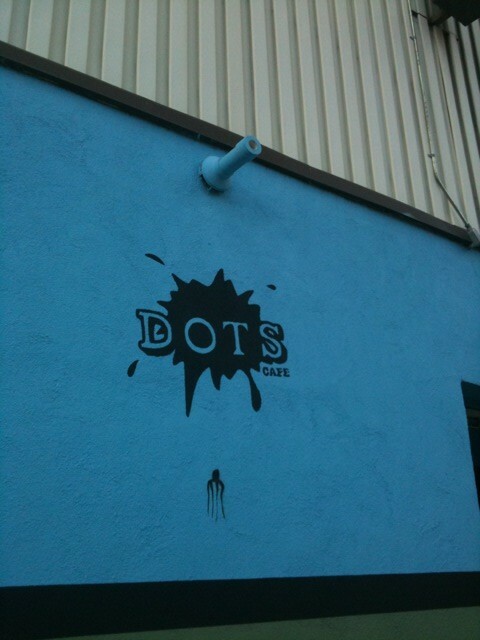 Dot’s is a funky hole-in-the-wall cafe that plays weird music and is so dark you can barely see your food. 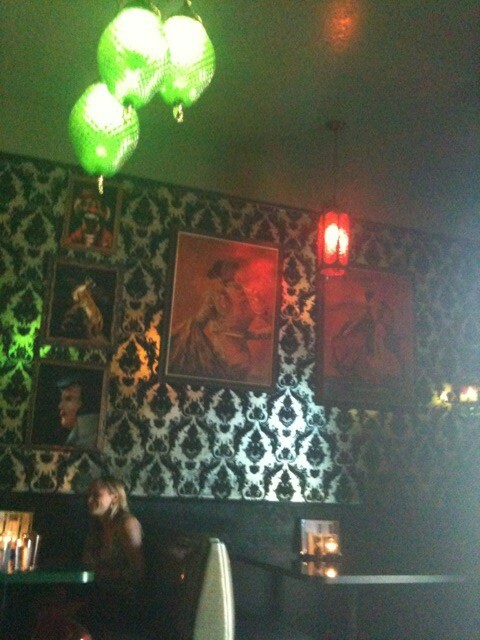 Oh and did I mention the velvet wallpaper and the Elvis paintings? 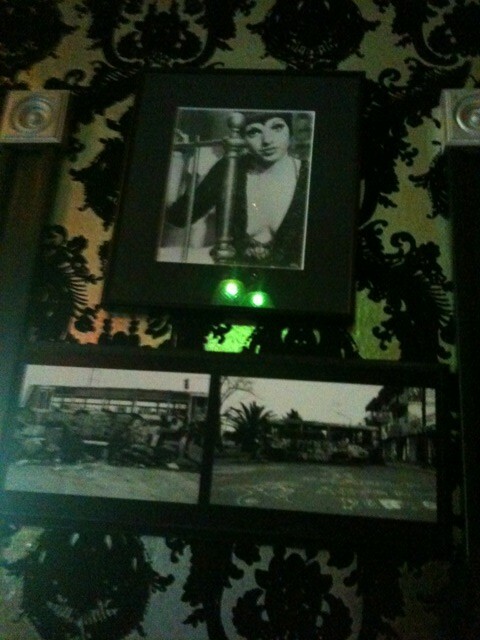 It’s your typical Portland restaurant with sketchy service: either really friendly waitstaff of the effing b*itches that are too good to be your waitress. We had a mixture of both at Dot’s. Pretty typical! But the food is good (and cheap). I drank just water. (Score!) I did not order an appetizer. (Check!) I also did NOT order my favorite item from Dot’s: a grilled cheese sandwich with bacon. Oh my goodness is that good! 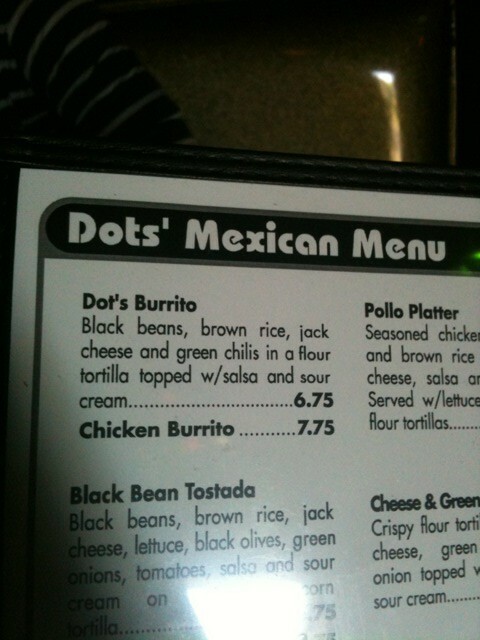 Instead, I ordered a burrito with black beans, brown rice, jack cheese and chilis. I skipped the guacamole and just went with the sour cream and salsa topping. 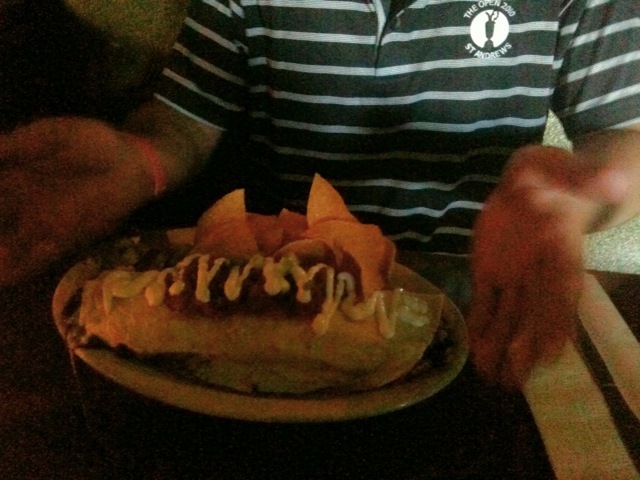 Jeremy also got the Dot’s Burrito but with chicken. 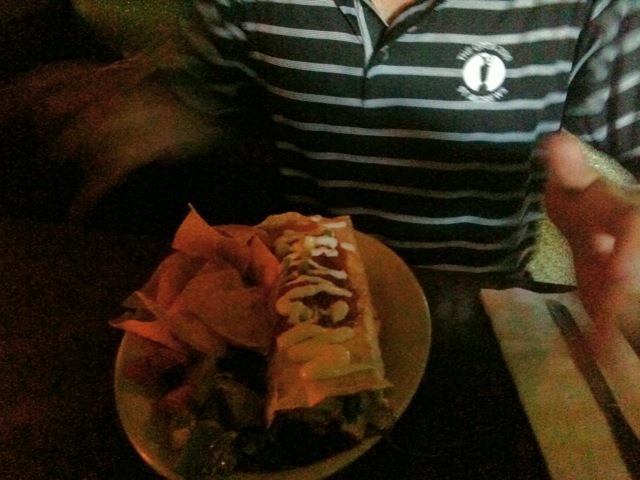 Jeremy ate half of his burrito. 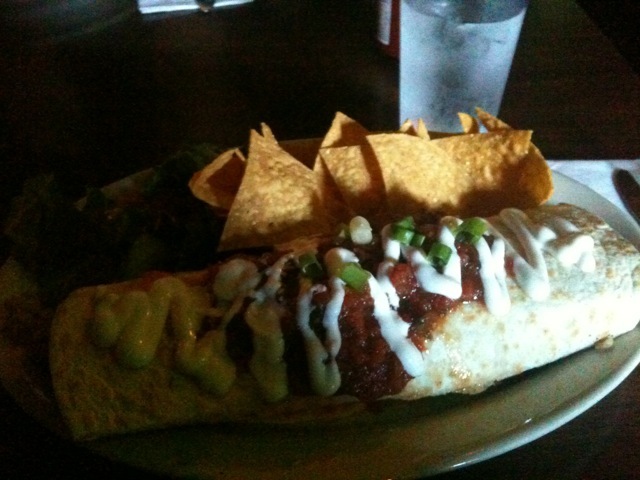 Trust me, the burrito is pretty big! After we ate we walked across the street to see the movie! That’s the next post. 🙂 And boy was it a good one! I like the restaurant tips. Eating out is unavoidable under many circumstances and most restaurants aren’t going to give you much help, unfortunately.